I have worked in a variety of people friendly environments: cafe barista, cashier, sales associate, receptionist, & medical assistant. I am flexible and adjust/ adapt to where-ever work is needed. My main focus has been working in jobs helping people solve their problems. 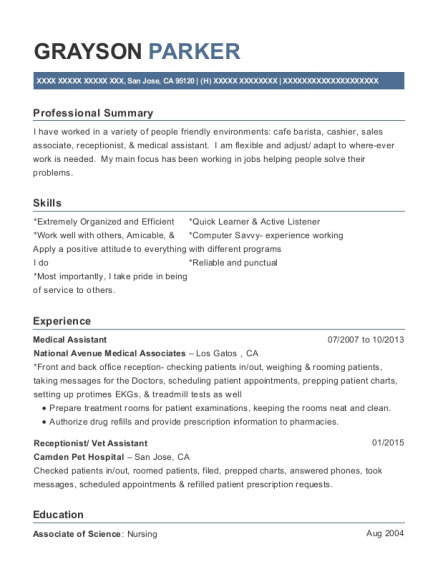 *Reliable and punctual *Most importantly, I take pride in being of service to others. Checked patients in/out, roomed patients, filed, prepped charts, answered phones, took messages, scheduled appointments & refilled patient prescription requests. 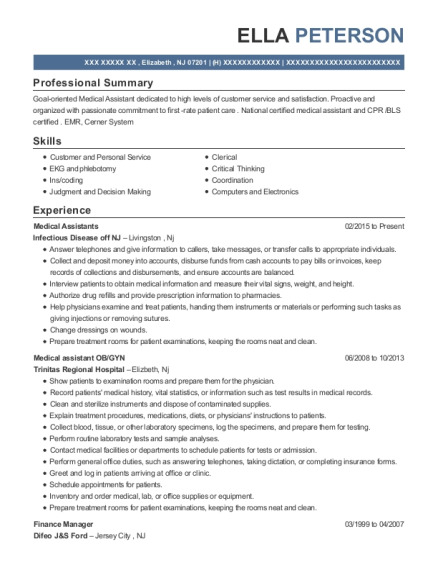 This is a resume for a Medical Assistant in San Jose, California with experience working for such companies as National Avenue Medical Associates and Camden Pet Hospital. 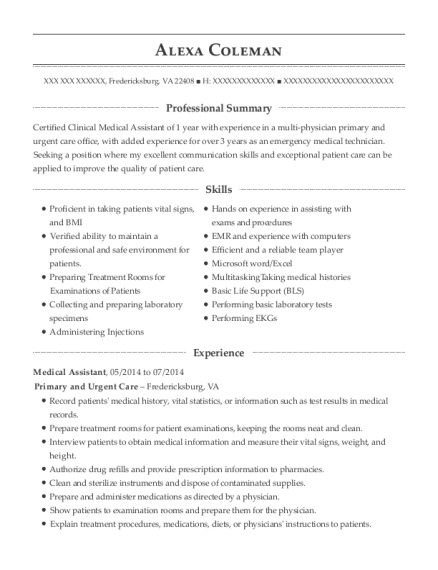 The grade for this resume is 0 and is one of hundreds of Medical Assistant resumes available on our site for free. 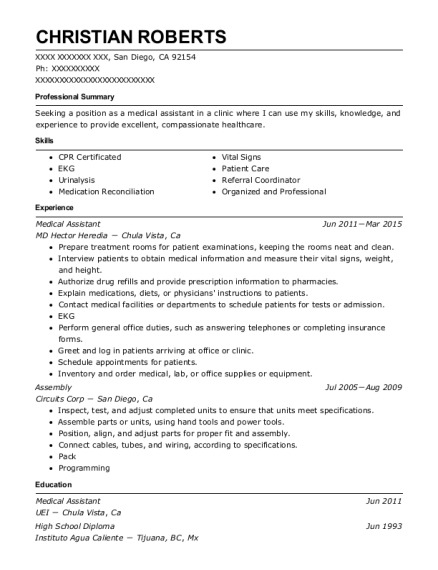 Use these resumes as templates to get help creating the best Medical Assistant resume.